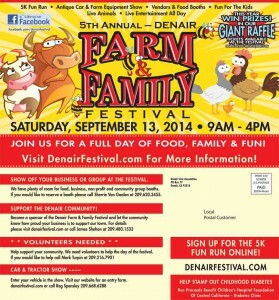 Denair Farm & Family Festival Needs Your Help! 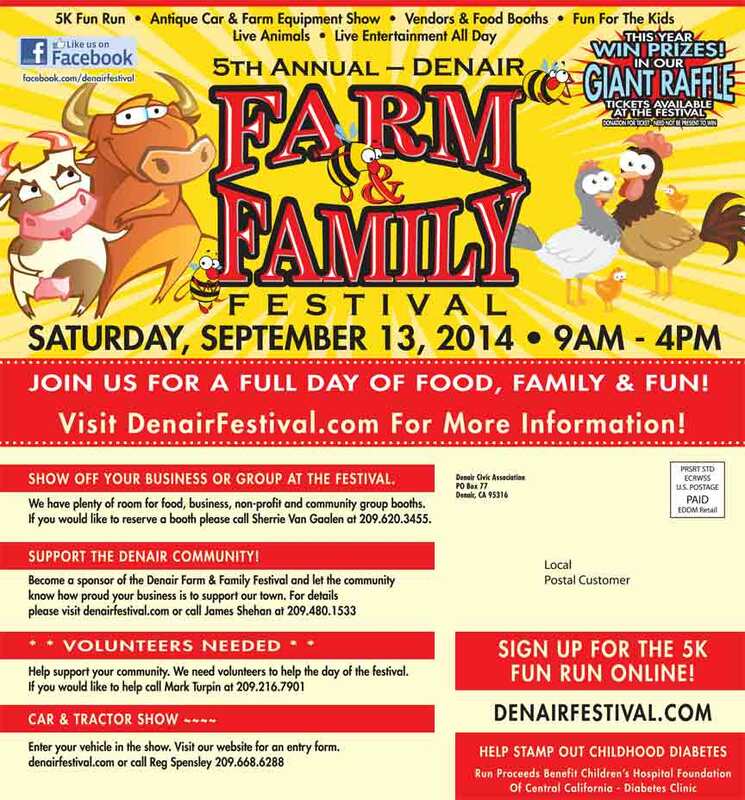 Denair Farm & Family Festival is looking for volunteers to help with the Festival this Saturday, September 13, 2014, from 9:00 am – 4:00 pm. Duties are minimal and you do not have to be there the whole day. Have an extra hour? They’ll will take it! If you have a need to do something wonderful and worthwhile for your community, please contact James Shehan on Facebook or www.denairfestival.com website. Posted in News and tagged Farm & Family Festival, volunteers. Debbie Cole Haile liked this on Facebook. DA Kori Prier liked this on Facebook.